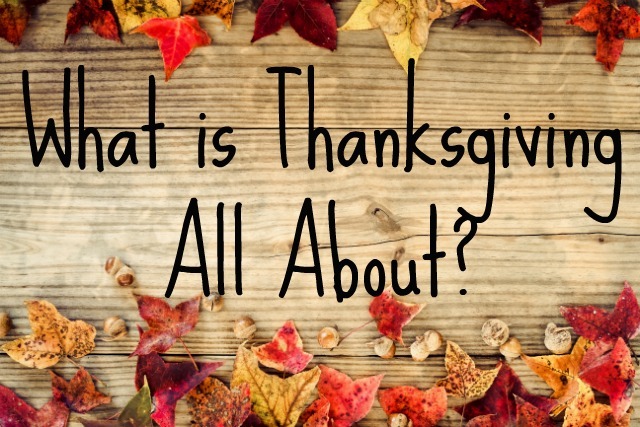 Does your family know the true story of how Thanksgiving came about? I have been so surprised by the lack of books that tell the story of Thanksgiving. Ultimately, our celebrations should be about offering thanks to God from whom ALL blessings flow, but also about this American tradition of setting aside a day to focus on offering thanks. I had a mom recently thank me for the little reading book, The First Thanksgiving that we sell on our website. She said growing up in the public school setting she had always learned that Thanksgiving was about the Pilgrims thanking the Indians for helping them through the hard winter. She said it was really eye opening to learn that they were really setting aside a day to offer gratefulness to God. 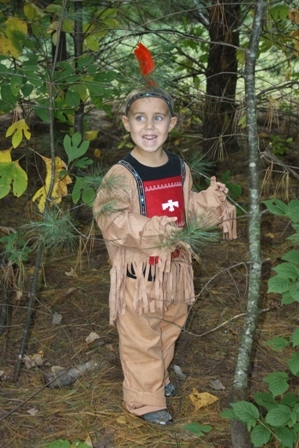 Here is a fun activity to do with small children to celebrate fall! (tastes good, too!) I made these today with 2 of my grandchildren, and they had a blast making them. It’s even easy enough for even toddlers to help with! We made two batches, one red and one orange. Another way we hope to direct our thinking toward thankfulness to God this Thanksgiving, is by making place cards (decorated with stickers) for each person present at our table . Instead of the person’s name, we will write a Scripture verse that deals with thankfulness, highlighting things for which the Scriptures tell us to acknowledge our thankfulness to God and others. At the completion of our meal, we’ll go around the table in order, having each person read the verse in front of them. We will then ask some simple questions to help everyone focus on the meaning and application of the Scriptures. Here are the verses I plan to use. (FREE DOWNLOAD) Hopefully you may find it useful as you plan your celebration, too. We’ve redesigned our Thanksgiving Time Capsule this year. It’s a record of goals set and goals accomplished, and reflections on notable things that happened since the last Thanksgiving. After our Thanksgiving meal, we pass around the sheets that we have filled out in years past. Each person reads their own to see if they met their goals and be reminded of how God has blessed their life. Then, everyone takes some time to fill out the new time capsule form. We store everyone’s form in an old popcorn container in the attic until next year. Older siblings or parents can help the little ones fill out one, too. It’s neat to see how your young ones will answer questions like “What is a lesson God has taught you this year”. 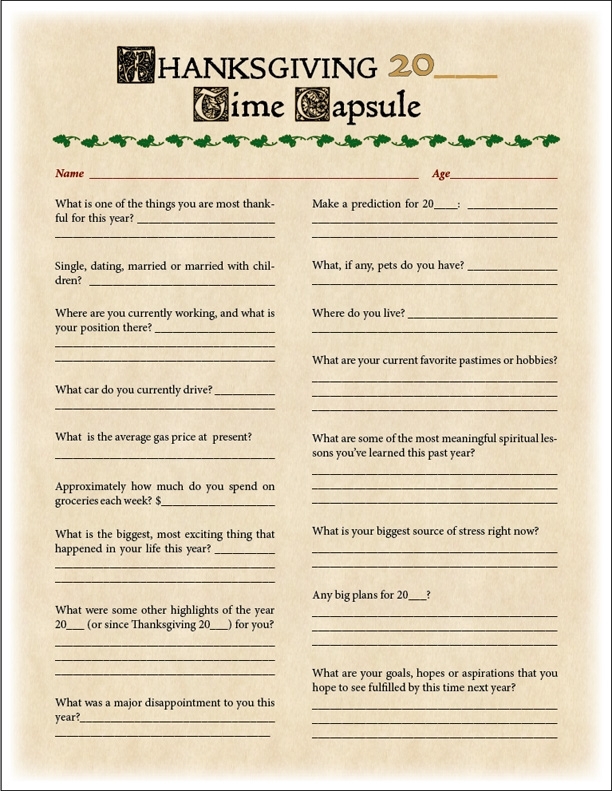 Please feel free to use it with your family or use it as a springboard to personalize one for your family’s needs. Our family wishes you a blessed day of gratefulness to our Lord and Savior! Be sure to check out our Thanksgiving blog postings from years past.